Expires 11/30/14. 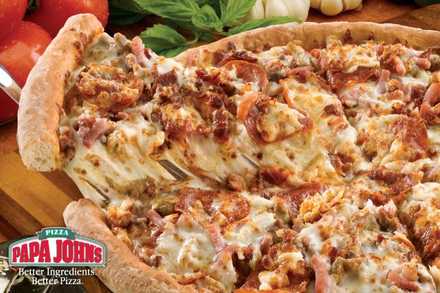 You will instantly receive a unique code that allows you to redeem your order online at papajohns.com from the Victoria location. One deal per person please. This deal is for Any 2 Large Papa John’s Pizzas when you order online from the Victoria location. This can be used for any specialty pizzas or any toppings up to 7 per pizza.